Will IE8 Be Enough to Save Internet Explorer? Talking about the demise of Internet Explorer might be premature — after all, two thirds of all web users still use some version of the web browser. But that’s down from over 91% just four years ago in the days before Firefox was being used by people like, well, my parents. According to Net Applications, Internet Explorer has lost share for 6 straight months and hasn’t been above 80% for 2 years. The reason? IE is facing stiff competition on multiple fronts. Over the past 6 months (5 in the case of Chrome), the second through fourth place browsers have all gained market share. Firefox is solidly over 20% now, Safari is gaining steadily and trending toward 10%, and Google’s new Chrome browser has been above 1% market share for two months running. Even distant fifth place browser Opera (which has a larger following in Europe than elsewhere around the globe), has grown fairly substantially over the past 2 years. IE, meanwhile, continues to slide. Last week, Microsoft released the first release candidate of IE8, meaning that the next version of their ubiquitous browser is likely right around the corner. This is potentially make or break time for Microsoft — and for more than just the existence of IE. Internet Explorer, along with Microsoft’s Rich Internet Application and web platform technologies like Silverlight, Azure, and Live Mesh, are vital to the future success of the company. Google has laid out a compelling three pronged web operating system strategy that includes its Chrome browser. Google — and others, such as Mozilla and Adobe — are attempting to create a platform for cloud-based applications that if successful would mean the underlying computer OS would become essentially irrelevant for most users. We’ve noticed a similar trend among visitors to SitePoint. Based on the last three years of browser trends, we predicted that IE will become extinct in 2013. Of course that assumes a rate of decline that doesn’t decelerate — which is unlikely. We also asked SitePoint readers in August if they would consider switching to IE8; 65% of you said no. If we can surmise that at least some portion of the yes votes were current IE users who plan to upgrade, that’s very bad news for Microsoft — not many people who have switched from IE are planning to switch back. It really doesn’t look like IE8 is shaping up to be enough to save Microsoft. Even if it is markedly better than previous versions of Internet Explorer, as it appears to be, it probably won’t be that much better than Firefox or Chrome or Safari that it will convince defectors to switch back. 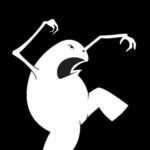 The very best Microsoft can probably hope for is to stem the tide of defections and hold onto a slim majority in the browser market — but even that seems unlikely, in our opinion. One drastic action that Microsoft could take to save Internet Explorer is to open source it. It’s probably not a coincidence that the three browsers currently eating into their market share are open source or based on open source projects. What do you think? 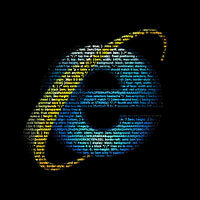 Will IE8 be enough to save Internet Explorer? Would open sourcing it make a difference? Now that RC1 is out, will you switch? Let us know in the comments.